Nyetimber's history has been colourful, its vinous ownership having passed from the American Stuart Moss, via the flamboyant pop impresario Andy Hill to the Dutch entrepreneur Eric Heerema. In the more distant past its decorative Manor House was built by Henry VIII for Anne of Cleves, although she never actually took ownership, thanks, famously, to Holbein's pictorial exaggeration of her charms. The far more charming Cherie Spriggs is now firmly at the helm making the wines at Nyetimber. The 2010 has aromas of citrus peel, brioche, and delicate floral notes. 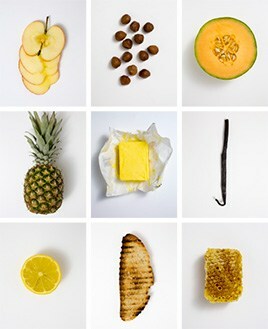 The palate reveals a core of fresh citrus fruit, layers of biscuit complexity, a mineral spine, and a fine mousse. An elegant wine with great intensity and a persistent finish. The Wine Advocate - The 2010 Blanc de Blancs spent five years on the fine lees with just 4% matured in oak. It has a very elegant bouquet with hints of praline and freshly sliced cornice pear, all with fine delineation. The palate is fresh on the entry with keen sense of direction. I admire the energy here, although I feel it needed to convey more complexity and attack towards the finish. Not bad, although not the best Blanc de Blancs that I have tasted during my rounds. For over twenty five years Nyetimber has had a single aim: to make the finest English sparkling wine, one to rival the very best in the world, including champagne. A true pioneer, Nyetimber was the first producer of English sparkling wine to exclusively grow the three celebrated grape varieties: Pinot Noir, Pinot Meunier and Chardonnay. Each bottle of Nyetimber is made from one hundred percent estate-grown grapes. 1988, Nyetimber planted its first vines. 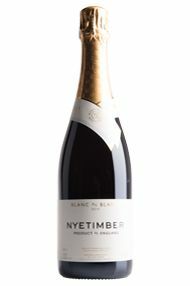 In 1997 in a blind tasting Nyetimber's 1992 Blanc de Blancs caused a debate as to which area of France it came from. Nyetimber wines have since won rave-reviews and International medals and, have also won the admiration of members of the Royal Family and various Heads of State. Owner and Chief Executive Eric Heerema and winemaker Cherie Spriggs are committed to producing wines of exceptional quality. 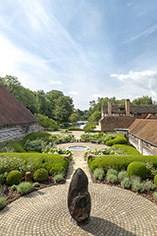 Nyetimber Manor is mentioned in the Domesday Book and was once home to Anne of Cleves, fourth wife of Henry VIII. 1,000 years later it is producing one of the finest sparkling wines in the world.